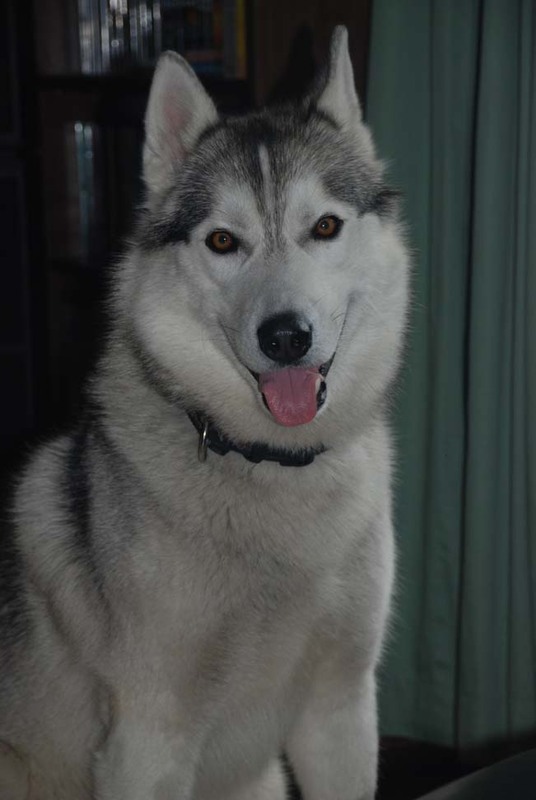 Buffo, my parents’ Husky, is a dad! The whole family – mum and 7 pups – are healthy and well. 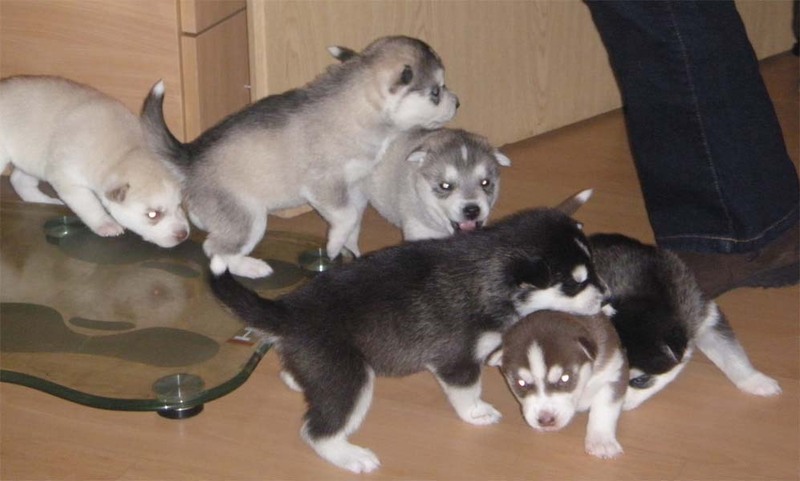 They had 3 boys and 4 girls; 1 brown pup, 2 black, 1 white and 3 silver. All puppies are growing fast and will have their first vet check up early next week. I want one – or two or three! They wouldn’t like our warm climate, though. Oh my, the cutometer is sky rocketing. How adorable! Well done Mom and Dad for making such wonderful babies. Thank you. I will pass them over. nice puppies ! 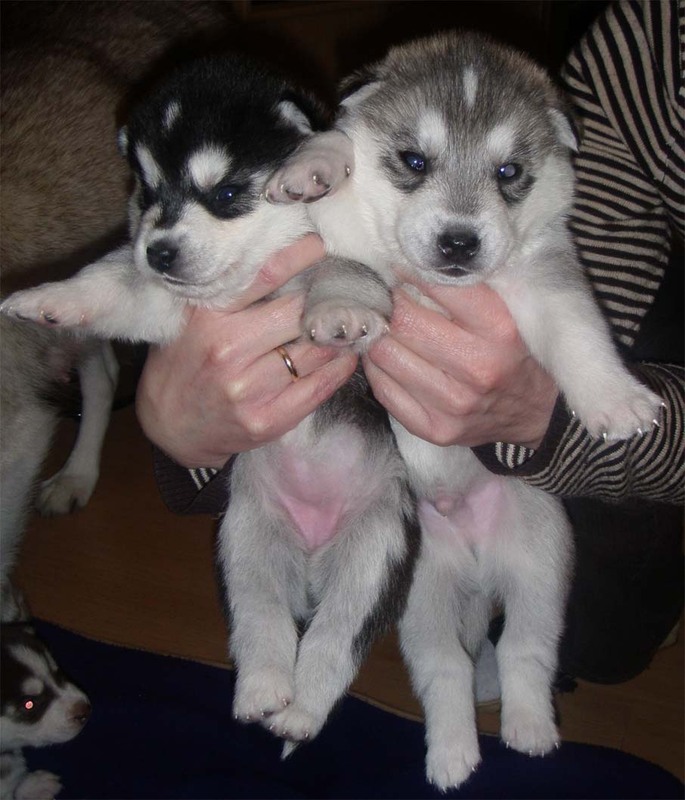 They will soon get bigger and stronger as my dear Harry , a white siberian husky !